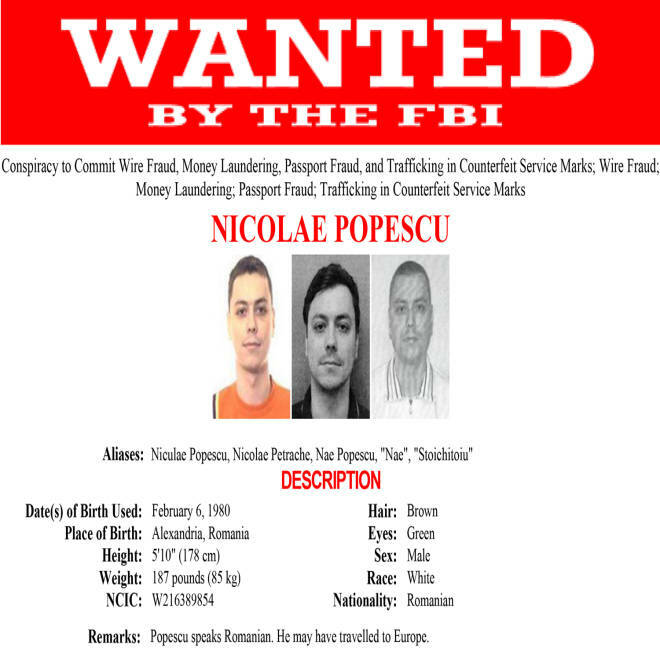 Nicolae Popescu, alleged ringleader of a Romanian cyberfraud gang that targeted online car buyers in the U.S., is shown in an FBI "wanted" poster. You wouldn’t knowingly buy a car from a Romanian fraud artist, but an unknown number of Americans were duped into trying to do just that when they shopped on popular websites like Cars.com and AutoTrader.com, according to a federal indictment unsealed Thursday. The indictment, filed in U.S. District Court for the Eastern District of New York, alleges that Romanian fugitive Nicolae Popescu ran an international organized crime syndicate that preyed on American car buyers, netting millions of dollars. Popescu and his co-conspirators flooded Internet marketplaces, including eBay, Cars.com, AutoTrader.com and CycleTrader.com, with ads for nonexistent cars, motorcycles, boats and other high-ticket items. When potential victims responded, the conmen produced fraudulent certificates of title and other authentic-looking documentation designed to lure the victims into sending them money to complete the sale. As part of the fraud, they also created fictitious auto dealerships in the U.S. to pose as sellers and produced websites to make them look legit. Popescu’s gang also created phony passports that enabled members to open accounts with U.S. banks, the indictment alleges. When a victim agreed to purchase a vehicle, they would receive counterfeit invoices purportedly from Amazon Payments, PayPal or other online payment services instructing them to transfer the money to the American bank accounts used by the defendants, it said. The money would then be transferred to the defendants in Europe by wire transfer and other means. Popescu also allegedly directed an associate in the U.S. to purchase luxury watches – including three Audemars Piquet watches with a combined retail value of more than $140,000 – and transfer them to associates in Europe. All told, the defendants realized more than $3 million from their scheme, the indictment alleges. 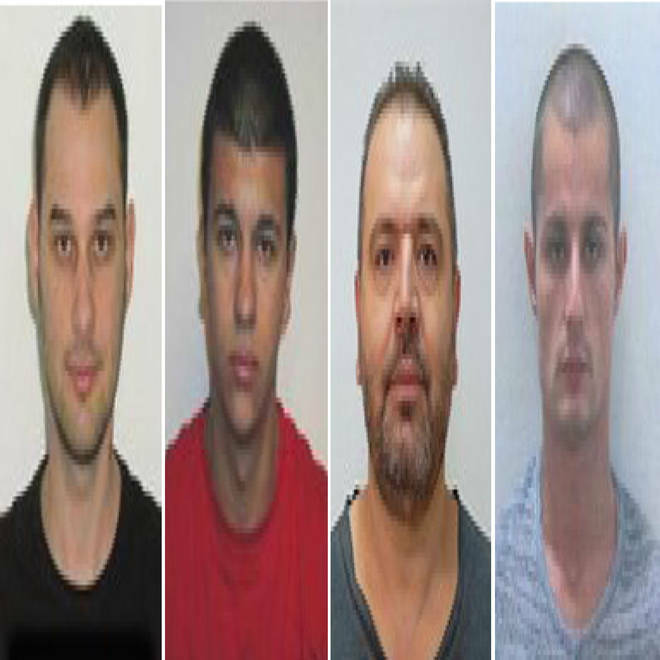 Popescu and his fellow defendants – fellow Romanians Daniel Alexe, Dmitru Bosogioiu, Ovidiu Cristea and Dragomir Razvan, Albanian Fabjan Meme and an unknown man who goes by the names “George Skyper” and “Tudor Barbu Lautaru -- all remain fugitives and are now the subject of Interpol “red notices,” the international equivalent of arrest warrants. Six other alleged co-conspirators were previously arrested on Dec. 5, 2012, in “a coordinated international takedown,” according to a statement issued by the U.S. Attorney’s Office for the Eastern District of New York. Other alleged members of the Romanian cyberfraud ring, from left to right: Dimitru Daniel Bosogioiu, Ovidiu Vlad Cristea, Fabjan Meme and Dragomir Razvan. Numerous other law enforcement agencies participated in the investigation, according to the press release, including the FBI, the Justice Department’s Computer Crime and Intellectual Property Section, international law enforcement agencies and the local police departments in California and New York. In a statement provided to NBC News, eBay said it had "partnered with law enforcement to alert consumers about the type of scams described in the indictment – which involve exploiting well-known, trusted brand names like eBay to attract consumers and then lure them onto fake websites and into fraudulent transactions. Auto shoppers can be confident in their purchase by ensuring they start and complete their transactions on eBay Motors and never use money wire services to send payments." It also recommended that consumers visit a website it has created to help them protect themselves against similar scams. Mike Brunker is NBC News' investigations editor; Richard Esposito is senior executive producer for investigations.